1) $H_t : X \to Y$ is an embedding for each $t \in I$. 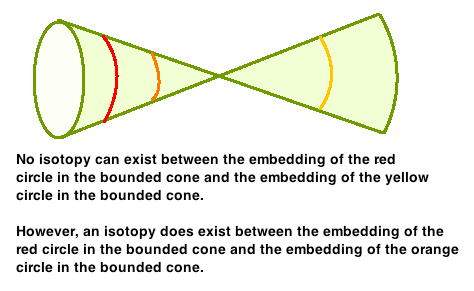 For the same reason as above, there is no isotopy between the embedding of the red circle and the embedding of the yellow circle. 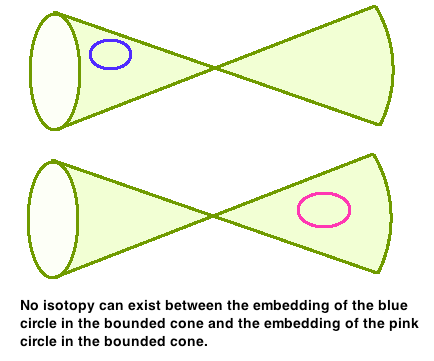 However, there is an isotopy between the embedding of the red circle and the embedding of the orange circle.